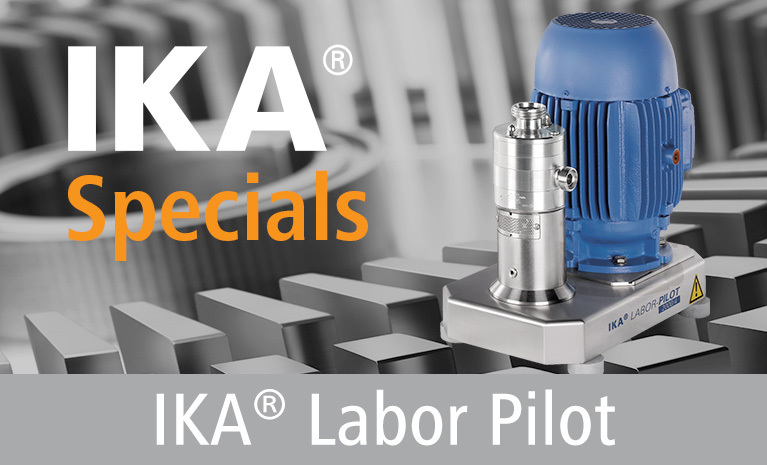 The IKA high shear mixer type magic LAB®, LABOR-PILOT and PROCESS-PILOT machines are perfectly suited for the optimization of product recipes and process parameters. The Pilots are characterized by the same specific energy input as the analogical IKA inline machines with higher flow rates. They enable the production of coarse and fine dispersions, lump and dust-free input of powder into liquids, as well as homogenous mixing. 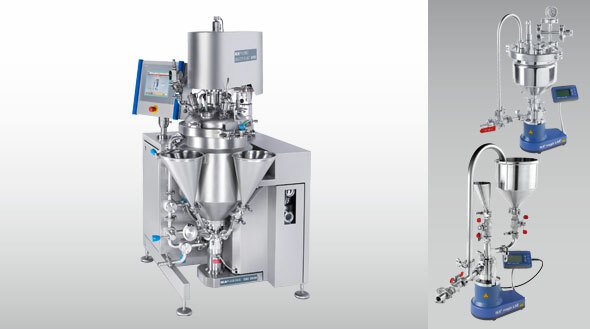 A vast array of accessories is available to convert these inline mixing machines into full lab and pilot mixing plants. IKA pilot system Master Plant systems have batch capacities of 10, 25 and 50 liters, are designed for mixing and dispersing, and provide effective suction of solid and liquid additives. The plant was developed specifically for products with a high viscosity (of up to 100.000 mPas). Master Plant systems allow for high-quality emulsions and suspensions to be produced and degassed in a very short period of time.